Our company - Comac Cal s.r.o. Thanks to our own development centre, we have been able to offer the customer solutions made to order so that they can fully suit to their requirements and in all sorts of industries. The roots of our company date back to 1987 when a special group under a housing cooperative came into existence to deal with the development of heat meters for residential buildings. Since then, a wide range of measuring systems and sensors have been developed and manufactured to offer solutions based on measured quantities or measuring principles. The in-house development centre solves the most varied specific problems and helps find out the best starting point for client’s tasks. Thanks to establishment of the authorized Metrological and Calibration Centre, we are capable of testing meters and sensors and overall solution designed by our team of workers. Our customers come from all sorts of industries, including petrochemical, food processing, water management, power engineering or mining with the appropriate ATEX. The development department affiliated to SBD Havířov was established. The Havířov Cooperative was established to develop and produce heat consumption meters with an induction flowmeter. The first KMH 10 heat meter was produced, which was launched on the market as an approved operating gauge since June 30, 1992 and a year later it was followed by a microprocessor version of CALOR 20 for heat measurement and FLOW 20. Company renamed to COMAC CAL s.r.o. 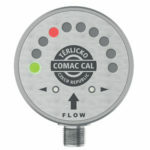 The approval of a new type of heat meter and flowmeter CALOR 30 and FLOW 30 complemented by the possibility of data transmission via radio signal was approved. COMAC CAL s.r.o. successfully sells its products to the Slovak Republic and Poland. The company moved to new premises at Horní Těrlicko 737. A separate metrology center, authorized by the Czech Metrology Institute, was established to verify the water meters and the calorimetric counters of the heat meters. 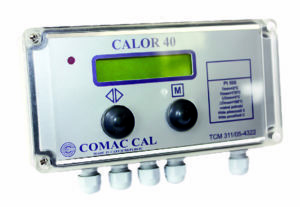 The company comes with new types of certified CALOR 40 heat meters and FLOW 40 flow meters for business. It is supplemented by the first flow meter FLOW 35 introduced in the previous year, which is exclusively dedicated to industry. For data transmission, the product line was supplemented by GSM data transmissions via GPRS. All products of COMAC CAL s.r.o. passes into a full-rolled version and doubles the O-ring safety seal. The battery version of FLOW 45 induction flowmeter and a new FLOW 33 industrial flowmeter including the FLOW 37 dosing version were introduced. Approved FLOW 33 Ex Series for use in explosion-proof areas specifically designed for mines. 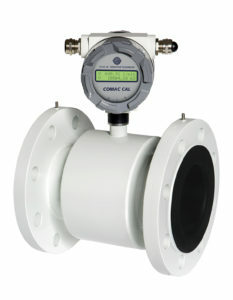 The OEM flow sensor FLOW 32 was included in the production with an evaluation electronics inside the flowmeter body. During the year, MACNAUGHT was established for oval wheel flow meters and STS SENSORS for pressure gauges, level gauges, temperature sensors and conductivity sensors including data transfer modules. costs and there is a possibility to order a local display. We are extending our production premises to facilitate increasing customers demands. According to EU requirements we have also obtained MID certificate for billing purposes. We are a purely Czech company that has been operating on the Czech and foreign markets since 1990. 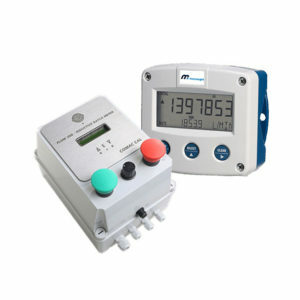 We are engaged in the development and production of induction heat meters and flowmeters. Thanks to many years of experience, we are able to offer individual solutions for our customers.